Experience the best panoramic view of the Forbidden City at Jingshan Park. 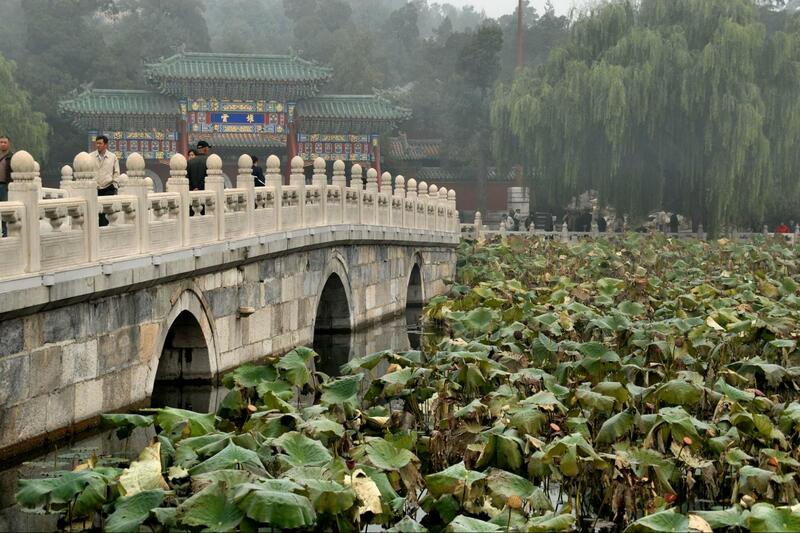 See beautiful lakes, temples, towers and willow trees in Beihai Park. Enjoy a rickshaw ride through the Hutong area and lunch at a local family. Jingshan Park or Coal Hill Park sits behind the Forbidden City offering the cities best view of the magnificent palace complex. A man-made hill it’s construction enhanced the Feng Shui of the Forbidden City as it was believed that you required mountains to the North and water to the South. Then cross into Beihai Park. Originally a Summer Palace, it became the Winter Palace for the emperors of 3 successive dynasties. It is Over 1000 years old making it the oldest park in Beijing. Before lunch experience a Rickshaw ride through the oldest residential part of Beijing to a family home or Hutong. In each home will an accompanying guide will help you learn about the family’s way of life. You will enjoy a local lunch in the Hutong cooked by the host family. This will be followed by a traditional Tea Ceremony in the Drum Tower.